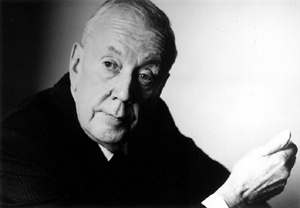 The 13th Malcolm Arnold Festival takes place this weekend (13 & 14 October 2018) in and around Northampton, particularly at the Royal & Derngate. Highlights of this year's festival include a concert by the BBC Concert Orchestra, conducted by Keith Lockhart, which includes Arnold's Symphony No. 4, alongside Bernstein's Symphonic Dances from West Side Story and Copland's Clarinet Concerto (with Julian Bliss), and John Andrews will be conducting a concert-performance of Arnold's one-act opera The Dancing Master with a cast which includes Charmian Bedford, Thalie Knights and Jan Capinski. Arnold's Symphony No.4 was commissioned by William Glock for the BBC and the composer conducted the BBC Symphony Orchestra for the premiere in 1960. Arnold later wrote that the piece was a reaction to the 1958 Notting Hill race riots, the composer being appalled that such things could occur in Britain. The work includes Caribbean instruments and rhythms. Arnold's 1952 comic opera The Dancing Master, based on a play by Wycherly, was rejected by the BBC as being 'too bawdy for a family audience'! It was performed by Guildhall School of Music and Drama in 2015 [see my review]. Visitors to the festival this year include Northampton County Youth Orchestra, Rushden Town Band, recorder player Tabea Debus who plays Arnold's Recorder Concerto at the family concert with the Malcolm Arnold Festival Strings conducted by Hilary Davan Wetton. Full information from the Royal & Derngate website.